We can easily distinguish a living animal from a living plant in our surroundings. We do not find any difficulty in identifying an animal as long as we see it moving, eating and alive. When it comes to plants, we have an image of a structure having spread out appearance with green parts like leaves in our mind. So, to keep it as simple as it was, Carolus Linnaeus classified all the organisms of the world into two Kingdoms i.e. Plantae and Animalia. 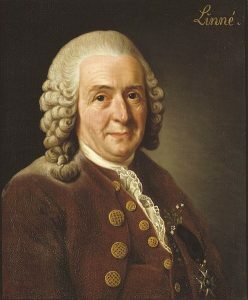 A Portrait (Oil on Canvas) of Carolus Linnaeus. Our three-century old friend Carolus Linnaeus was a Swedish naturalist, who introduced this system of classification. In his book “Systema Naturae”, first published in 1735, He classified all organisms into two Kingdoms i.e. Animalia for animals and Plantae for plants. His classification system was based on two features i.e. nutrition and locomotion (movement). The animal kingdom includes all the moving multicellular organisms (animals) and the unicellular organisms called Protozoa (first animal). All other organisms such as green plants, mosses, and multicellular seaweeds, molds and mushrooms, lichens, minute-colored or colorless unicellular organism, and bacteria were lumped together in the plant kingdom. Whether it is a worm, insect, snail, fish, bird or mammal, we can easily identify it as an animal as long as it moves or eats. Moreover, when we are shown a patch of green moss on a wet rock or a green filamentous tangle from a nearby pond, we are readily convinced that these are more plant-like than animal-like. But where shall we place the colorless fungi growing out of a rotten wooden log or a decomposing heap of straw? These organisms live by decomposing and absorbing waste organic matter rather than preparing their own food like green plants. But, given the only options to choose i.e. either from plants or animals, we may still call them plants because they are fixed and have a spread out appearance. 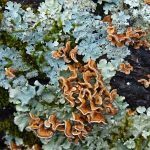 What about lichens growing on a bare rock or on a bark of a tree? It is very hard to believe that they are even alive. But, due to their inability to move and spread out appearance may once again lead us to call them plants. If you are not satisfied yet and want to explore more in your surroundings, then you can examine a drop of water from a nearby pond, lake, ditch or sea under a microscope. You are likely to find numerous living things, some moving vigorously, some slowly and others hardly at all. Some of them may be green or yellow and some may be brown or red. Some may be even colorless. Where will you place them among animals or plants? Following the system of classification introduced by our friend Linnaeus, all organisms were placed in either one of the two large Kingdoms (Plantae & Animalia). But the grouping of such diverse organisms into only two kingdoms was not satisfactory to many biologists of that time. They argued that this system puts together Eukaryotes (organisms with a true nucleus) and Prokaryotes (organisms without a true nucleus). 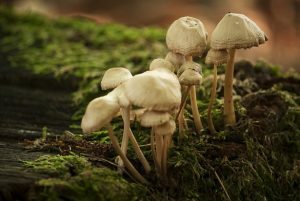 It also lumps together non-photosynthetic fungi with photosynthetic green plants. 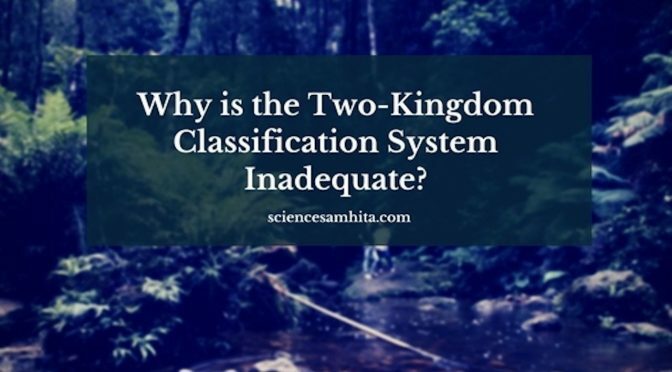 Thus, there was a need for a better system of classification. The complexity of Cell Structure (Prokaryote or Eukaryote). The complexity of the Organism’s Body (Unicellular or Multicellular and Complex). Mode of their Nutrition (Photosynthesis, Absorption or Ingestion). 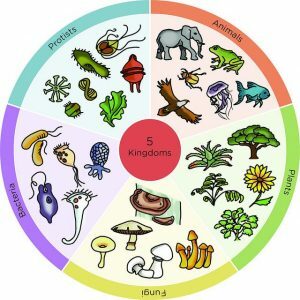 The Five Kingdoms of Life: Monera (Bacteria), Protists, Fungi, Animals, Plants. In the five-kingdom arrangement, the subdivisions of the old two-kingdom classification are not altered. Instead, they are redistributed among additional kingdoms. Such an arrangement reflects the phylogeny of different lifestyles better. Monera (various forms of Bacteria). Kingdom Plantae (Multicellular photosynthetic Plants). Previous PostPersonal Genomics: Gene Sequencing & Analysis in India.Next PostIndian Long Pepper:​ A Potential Cancer treatment Drug.